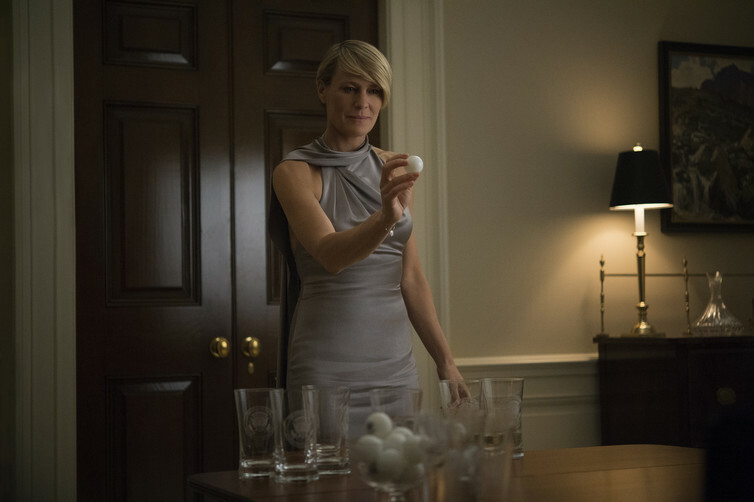 This article contains spoilers from season three of House of Cards. It’s entirely possible that I’ve been staying up too late this week. After leaving the lab at the end of the day, I’ll head home to binge on the political drama House of Cards, the third season of which has been dumped onto our Netflix queues. Simultaneously, the National Sleep Foundation is sponsoring Sleep Awareness Week from March 2nd to 8th, which makes me feel guilty for how poor my sleep hygiene has been lately. But perhaps I shouldn’t be too hard on myself – after all, I’m not the leader of the free world who needs to make rational, clear-headed decisions about my country on a daily basis. Since the first episode of the show, I’ve been pretty appalled by the Underwoods’ poor sleep habits. So here are three simple sleep hygiene rules that Frank and his wife Claire would be wise to follow. Rarely does an episode go by that we don’t see Claire lounging in bed, papers strewn across the blanket and MacBook screen glowing in the reflection of her wayfarers. Frank is guilty in a different way, suited up and typing away at his computer in the Oval Office in the middle of the night or playing games on his tablet. Reading and working late are one thing, but the blue light from their screens is probably destroying their bodies’ natural circadian rhythms. 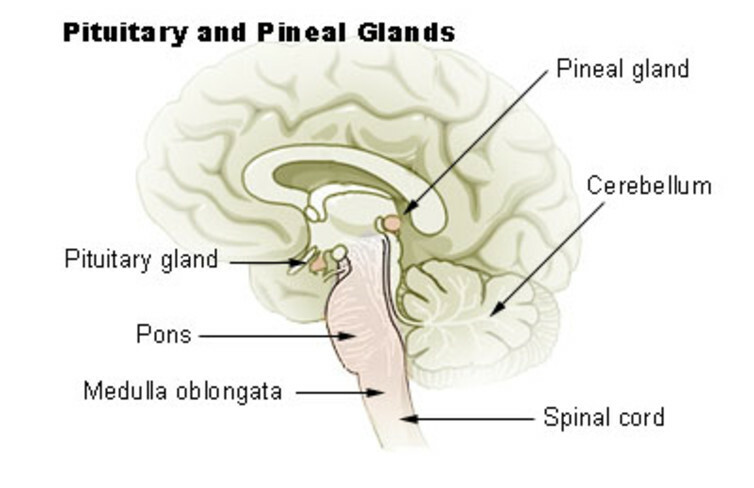 The pineal gland is a small, pine cone-shaped structure near the center of the brain that secretes the hormone melatonin at night in response to darkness. While it is sensitive to all wavelengths of light, blue light in particular (460-480 nanometers) suppresses melatonin release proportional to both the intensity and duration of the light exposure. A 2006 study by Steven Lockley and colleagues at Harvard found that when participants were exposed to 6.5 hours of either blue or green light, blue light suppressed melatonin twice as long, shifting the circadian rhythm by three hours (versus 1.5 hours with green light). Blue light exposure also reduced delta, or “deep,” sleep at night. Regardless of intensity, blue light – like that emitted from television, computer, tablet, e-reader, and phone screens – is wrecking our natural sleep and circadian rhythms. It’s estimated that 95% of Americans use some sort of electronic device at least one hour before bedtime. A study by Anne-Marie Chang and colleagues published in December found that compared to reading a paper book before bed, reading from an iPad increases sleep latency, decreases REM sleep, and enhances feelings of sleepiness during the day, even when both groups sleep the same duration the night before. Shut off the screens at night, Mr President and First Lady. If you must work so late, consider downloading the application f.lux or investing in a pair of orange glasses to block out the blue. Rarely do we see Claire run in daylight. In earlier seasons, she bustles around the kitchen in the wee hours of the morning in running spandex, and is later seen darting headstones in the dark graveyard. In the middle of season three, we watch Claire go for a midnight run to ward off stress, flanked by security. And with his late-night indoor rowing habit, Frank isn’t off the hook either. The Underwoods are busy public figures, and incorporating vigorous exercise into their hectic schedules is to be commended – but not at the expense of their sleep. Night rowing is a no-no. Exercise is great for sleep. Indeed, a 2011 study reported that 150 minutes of moderate to vigorous physical activity per week can improve sleep quality by 65%. Using actigraphy, study authors Paul Loprinzi and Brad Cardinal examined the exercise habits of over 3,000 adult men and women. Those who met minimum physical activity requirements reported less daytime sleepiness and better overall sleep quality, regardless of factors like age, body weight, and depression. Similar findings on the benefits of exercise on sleep were reported by the National Sleep Foundation’s 2013 Sleep in America poll. The timing of exercise is a little more controversial. It’s a common sentiment that late-night exercise destroys sleep. After all, exercise ramps up your heart rate, raises body temperature, and causes release of the stress hormone adrenaline, making us active and alert. A 2011 study, however, reported that participants slept just as well on nights when they exercised just half an hour before bed as they did on nights when they didn’t exercise at all. For those prone to bouts of insomnia, though, most sleep physicians recommend not exercising for several hours before bed. Kudos on your exercise habits, Frank and Claire. You’re way more disciplined than I am. Just work on the timing a bit, okay? One of the silliest moments in season three is when Russian president Victor Petrov, on a visit to the US, challenges the White House dinner party to shot after shot of pricey vodka. Not long after, Claire and Secretary of State Cathy Durant play a friendly game of beer pong. What is this – the White House, or a college fraternity party? Alcohol has a strange, dichotomous effect on sleep. On the one hand, it helps us fall asleep faster and increases slow-wave, or deep, sleep during the first half of the night. The second half of the night is not so pretty, however. In 1972, Williams and Salamy experimented with different concentrations of alcohol in the evening. Thirty to 60 minutes before bed – in an effort to yield peak blood alcohol concentrations at lights-out – participants were assigned to consume anywhere between one and six drinks. (A “drink” is defined as 350ml beer, 150ml wine, or 44ml of 80-proof distilled spirits.) Although those who consumed the most drinks fell asleep the fastest, they also woke up more frequently during the night. Alcohol mimics gamma-aminobutyric acid (GABA), the major inhibitory neurotransmitter in the brain. When bound to a GABA receptor on a neuron, alcohol allows either the influx of negative or efflux of positive ions, giving the cell a more negative charge. Thus, the neuron’s attempt to fire an action potential is thwarted. After an evening of drinking, GABA dominates the first half of the night, which explains why we fall asleep so deeply. The bad news comes when GABA is recycled into glutamate, the brain’s major excitatory neurotransmitter. Once GABA is metabolized halfway through the night, glutamate-releasing brain regions like the reticular activating system – which, among other things, regulates sleep, waking and arousal – are likely to be where the midnight disruptions kick in. Frank and Claire are a fascinating character study in power, ruthlessness, and the human condition. If you want to learn how to get to the top fast, take notes (minus the criminal bits, perhaps). But if you want to improve your sleep hygiene, don’t take a page from their book. After all, if the Underwoods have trouble sleeping after their heads hit the pillow, it’s probably not their consciences keeping them awake. Those Sore Spots in Your Muscles!